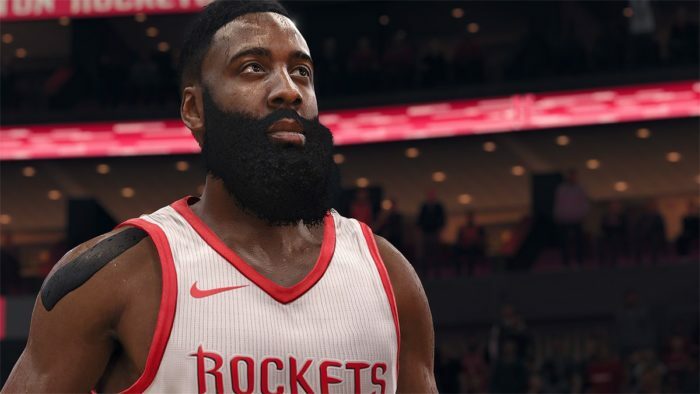 The basketball gaming scene has been dominated by 2K’s yearly releases, while EA’s Live games have often languished in the shadow of their competitors. However, NBA Live 19 looks prime to take the battle to 2K this year. One of the biggest complaints fans have had about the NBA Live series over the years was the poor animations and awkward controls. With Live 19, EA is introducing something called “real player motion” where the company has taken extensive steps to capture the look and feel of the NBA players. While EA wasn’t able to work with the actual league players, the motion capture has definitely paid off in a big way for NBA Live 19. During my hands-on time with the game, it quickly became clear that this is pretty much the best Live has looked in years. 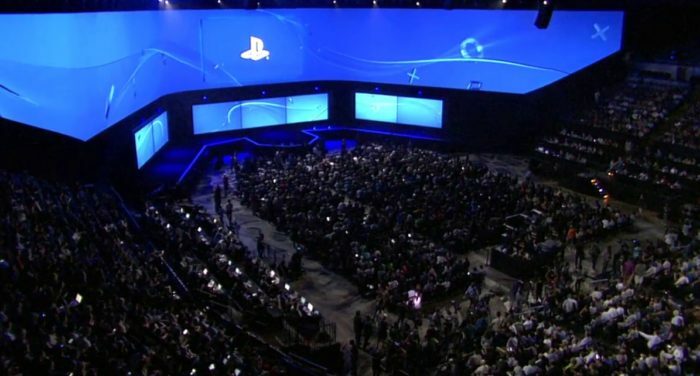 The animations were fluid, and the controls were responsive. Right-stick dribbles are still here, while the layups and shooting feel smooth to pull off. This year, EA’s also placing a larger emphasis on off-court animations and interactions. Players can stumble off the court and crash into the goalpost during a bad play, while audience members will get excited and run to the court when you win a match. It certainly adds to the realism of each match played, and it creates a much more immersive basketball experience than we’ve seen before in a Live game. 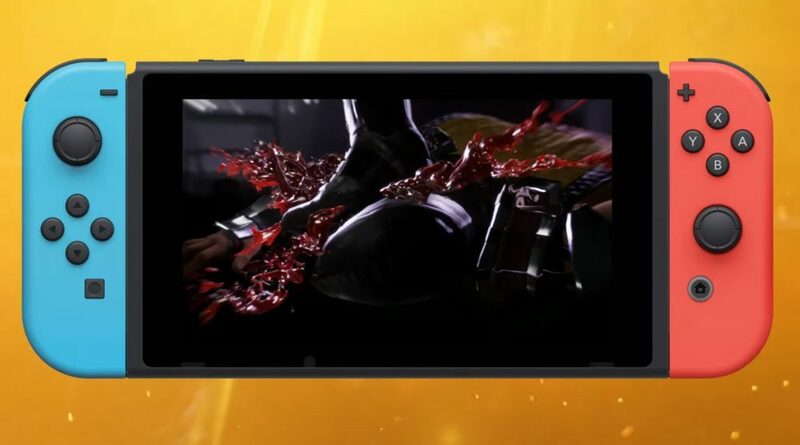 In addition to that, there’s going to be a player takeover system, where you can taunt other players on the court to spark a reaction from them. For instance, your character can actually trash talk someone like James Harden and this might cause him to play more aggressively. His team might feed him the ball more often in the match, and he might make even more offensive plays for a period of time. 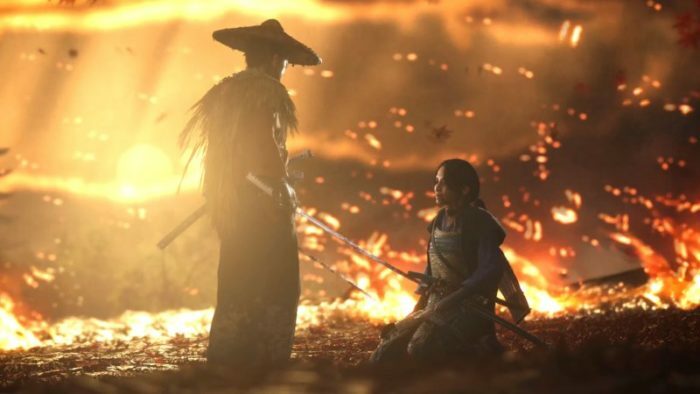 Speaking with Creative Director Connor Dougan, he mentioned that this reactionary AI behavior would only last for a short period of time before the AI goes back to regular behavior. For example, if Harden’s aggressive plays don’t pay off, he’ll revert back to his normal style after a couple of minutes. It’s a very small adjustment, but it does make matches feel more dynamic. I also got a glimpse of the new Icons system, which works in a similar way to 2K’s badge progression from NBA 2K18. As you play more matches, your player will earn experience that allows you to level up their stats. On top of that, the Icons give you a bit more focus in how you want to shape your player. At the start of the game, you’ll get to decide what sort of player you want to be (defensive, offensive, etc) and you’ll be given a few Icons packs that match that play style, which can be leveled up with experience points at your own pace. Leveling these up will give you stat boosts, cosmetics, and signature moves from the star player associated with that specific Icons pack. It’s worth noting that the badges progression system from NBA 2K18 was heavily riddled with microtransactions, where players could spend money to purchase VC in order to pump their stats. On that topic, Dougan stated quite clearly that NBA Live 19 would not feature any microtransactions. This means that all the leveling you do in the game’s The One career mode will be through pure gameplay, skill, and practice. 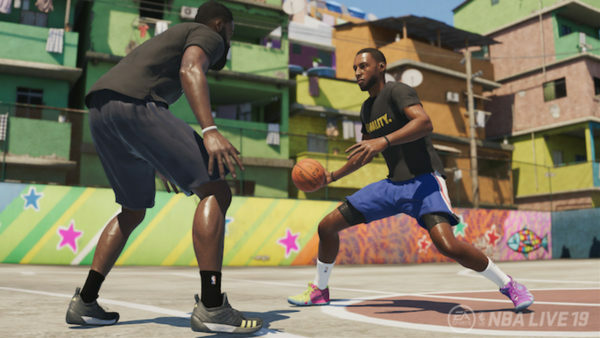 New to Live 19 is the addition of special street courts, including the Quai 54 in Paris and the Tenement in Philippines. We caught a look at Live 19’s new Build Your Squad feature, in which you can challenge star players to street games and recruit them to your own squad if you win. As always, the players all have a rarity rating attached to them, and the rarer they are, the higher their OVR is, and the stronger your squad will be. These provide a nice break from the League games that take place in the standard courts, and give the game a sense of vibrancy that you don’t often see in basketball video games. On the career mode side of things, if you were hoping for a more cinematic style of story mode in this year’s iteration, unfortunately that’s not going to be the case this time. While NBA Live 19 does feature a “choice-driven narrative,” Dougan mentioned that your (created) player would get to make decisions about their interactions with other players on and off the court, including the aforementioned taunting to incite players into aggressive behavior. However, despite the success EA has had with FIFA’s Journey story mode, it looks like they’ve decided not to implement anything like that in NBA Live 19. Overall, Live 19 certainly is shaping up to be quite a competent basketball game as far as gameplay and controls go. It’s definitely a little disappointing to see that there still isn’t a story mode to draw in more casual basketball fans. Even so, EA seems to be on the right track when it comes to the gameplay experience, and this game could potentially give its competition a run for their money this year.